Nebraska made a late addition to its 2018-19 roster on Thursday as junior college forward Dedoch Chan committed to Coach Tim Miles during an official visit. Chan is a 6-foot-8, 215-pound forward from Rochester, Minn., who spent his freshman season at Mississippi Gulf Coast Community College. He will be immediately eligible for the Huskers and will have three seasons of eligibility. Chan also held offers from Norfolk State, Cal Poly, Montana State and McNeese State. As a freshman at Mississippi Gulf Coast, Chan averaged 16.8 points, 8.3 rebounds and 1.5 assists in 31.6 minutes per game while shooting 47 percent from the field, 30 percent from 3 and 72.8 percent from the free-throw line. He scored 20 or more points 11 times in 25 games with a high of 34 and notched eight double-doubles including a 33-point, 17-rebound performance. As a senior at John Marshal High School, Chan averaged 16.8 points, 7.7 rebounds and 1.6 steals for the Rockets, earning all-conference honors. As a junior, he transferred to John Marshall and averaged 7.3 points and 5.0 rebounds. As a sophomore at Albert Lea, he put up 22 points and eight rebounds per game, earning a spot on the All-Big Nine First Team. 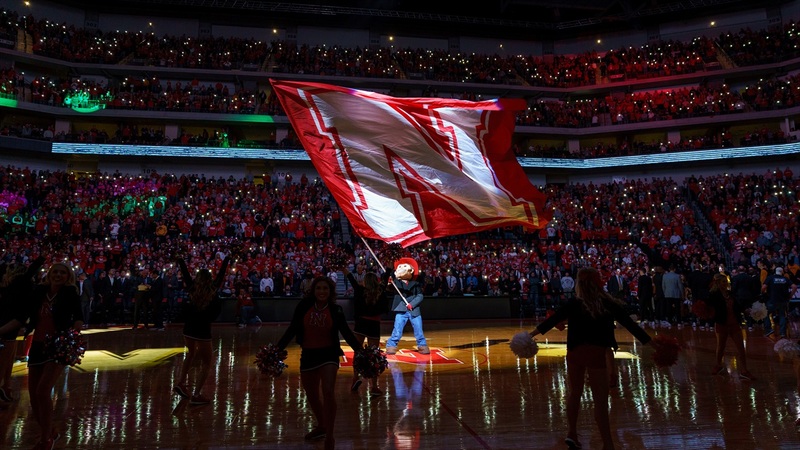 Following Jordy Tshimanga’s departure in late July, the Huskers were left with senior Isaac Copeland, junior Isaiah Roby, true freshman Brady Heiman and walk-on senior Tanner Borchardt as frontcourt options. Chan’s addition gives Miles more depth and flexibility on the interior. Chan is a strong rebounder who is comfortable on the perimeter and in the post. His range extends out to the 3-point line — though his consistency there needs work — and he has a soft touch around the basket that allows him to convert difficult shots in the paint. Chan’s commitment leaves Nebraska with one open scholarship for 2018-19.